The United Kingdom Gambling Commission (UKGC) has issued a warning to all online sites that facilitate betting on e-sports and gaming sites, including those which allow their players to use virtual items that they have acquired during gameplay, as wagers. 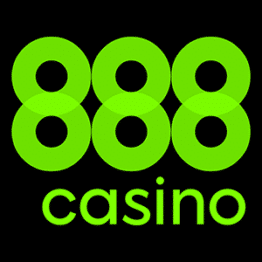 They have highlighted that such sites may require a gambling licence to continue with their current operations. The Gambling Commission wishes to obliterate any grey areas for the gambling market in the country; a spokesperson from the commission, said that “the lines between some social gaming products and gambling are blurring” and highlighted their concerns about the increase in unlicensed betting and gaming activities surrounding e-sports. The e-sports industry, which is rapidly growing in popularity and stature, has triggered a growth in unregulated sites that offer gaming options on these contests. The UKGC has recently published a 12 page, discussion paper on virtual currencies, e-sports and social gaming, in which they have confirmed that the gaming commission have written to more than 100 unlicensed online gambling websites, calling on them to “cease offering facilities for gambling to British customers”. The report also said that a “significant number” of the sites that have now been issued with requests to cease services in the UK, were “offering facilities for remote gambling” in the context of e-sports and gaming. According to the UKGC, there has also been a notable increase in the number of websites offering e-sport gamers the chance to play against one another for money or prizes. Some of those websites even “allow participants to bet on themselves to win” and that, as a result, they might be acting as a ‘betting intermediary' and would require a licence to continue that activity. “Our preliminary view is that a person who is offering facilities for match ups, by introducing participants who bet against each other about who will win, is providing a service designed to facilitate the making or accepting of bets between others,” the Gambling Commission said. “If that is the case then the person offering those facilities may be acting as a betting intermediary and would need a licence,” they continued. “We can see, however, that drawing a clear distinction between arrangements that would in our view amount to acting as a betting intermediary and payment to participate in genuine competitive tournaments is not easy. In reaching a view on the question of whether a person is acting as a betting intermediary we would look at a number of factors, including the number of people involved in the competition (the more people participating in the contest tending towards tournament rather than match up),” they added. The Gambling Commission also highlighted an increase that they have noted in the trade of so called ‘in-game' items; video game players can acquire these virtual goods during their gaming adventures. Some sites have been facilitating the trade, sale or use of such items as wagers in gambling activities; once the players have managed to obtain the items through the appropriate channels. The report said, those “digital commodities” or ‘skins', can often be “converted into money or money’s worth” and as a result they can be considered “a form of virtual currency,” which can be gambled with. If digital goods are defined as a form of virtual currency, then under an existing gambling law in the United Kingdom, the UKGC can ban the activities on the site; the use of virtual currencies in unlicensed gambling operations is illegal in the country. The Commission has previously confirmed that offering facilities whereby virtual currencies can be used for gambling qualifies as a regulated activity for which a gambling licence is required. The Gambling Commission also used the discussion paper to reinforce the message about recent changes to their licensing code, which clearly states that gambling operators that wish to accept payment in digital currencies must satisfy that they comply with all anti-money laundering and social responsibility requirements. Furthermore, the commission mentioned that unauthorised gambling in the e-sports sector presents particular risks that operators need to take note of as children and young people often access those games and exposing underage and vulnerable individual to gambling services is considered a serious crime. The UKGC is accepting responses to their discussion papers till the 30th of September 2016 and a gambling law expert from Pinsent Masons, the law firm behind Out-Law.com, Guillaume Bellmont, said that video games publishers and other businesses involved in the e-sports and gaming markets should take the opportunity to respond to the Commission's discussion paper. The Commission also declared that they plan on publishing a new “position paper” on the issues later this year. Bellmont mentioned that the Commission's discussion paper comes at a suitable time as it follows recent controversy surrounding third party websites allowing the trade of virtual items obtained through the computer game Counter Strike: Global Offensive (CS:GO) by Valve Corporation. “As a result of these items being readily transferable into real world money, a practice has built up of players and people watching other players gambling using these skins through different sites,” Bellmont said. “These sites tend to lack the protections that tradition gambling websites have and in particular age restrictions do not seem to be well enforced,” he added. Bellmont did however say that the computer game industry, around the world, generally tends to act in compliance with relevant gambling regulations and assess whether new features they add comply with those rules or not. Game publishers often have little or no control over activities carried out on online platforms that relate to their games; these are usually organised by third parties and do not have anything to do with the game’s legal developer, nor do they take care to conform to the appropriate regulations, he said. “Since then Valve has been issuing cease and desist letters to these websites to try and curb their activities. Some of the larger websites, including, CS:GO Lounge, have indicated their intention to apply for gambling licences in a number of jurisdictions,” he added. Bellmont said that e-sports gaming, with its growing popularity, has been attracting the attention of regulators in several other countries; legislators in France have announced that they are about to pass new laws that will allow e-sports competitions to be run in the country, provided the sites offering these competitions abide by a number of requirements set up by the country’s gaming regulatory body.